Shopping for StarCraft Pint Glasses? Each StarCraft II Joeyray's Pint Glass can hold 16 oz. of whatever beverage you desire. 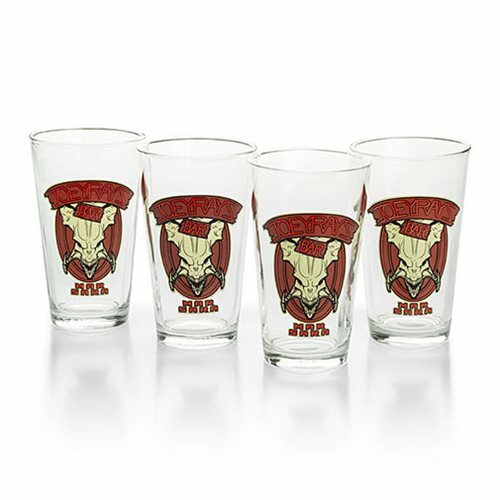 The StarCraft II Joeyray's Pint Glasses 4-Pack Set is a must have for fans of the hit Starcraft II. Hand wash only. Not dishwasher safe. Do not microwave.